After a very challenging day, Maggie and I headed off for a walk along the Arroyo Mocho trail to clear my mind and burn off some of her energy. 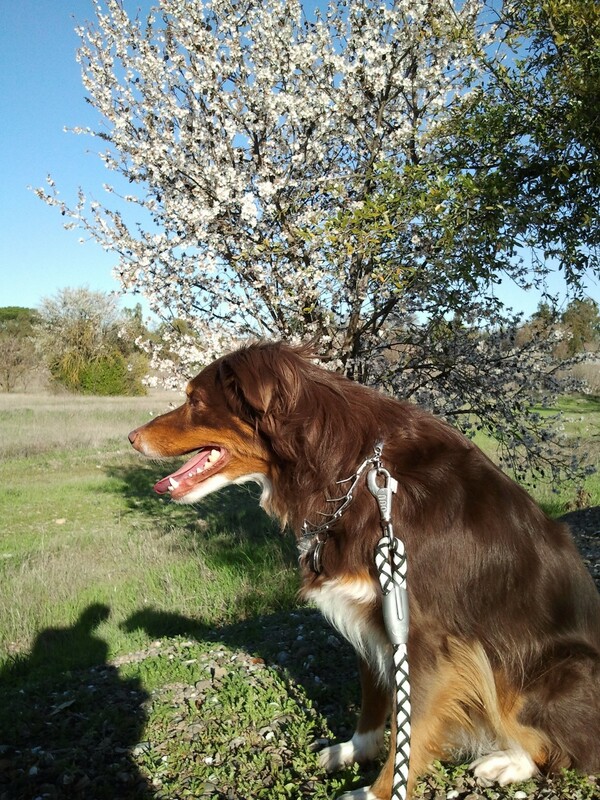 I have been trying to get a picture of Maggie with the flowering Almond trees but she is very easily distracted. Below is the best so far. Obviously I need more discipline in winning the arguments with Maggie.